One of the worst parts of having aging joints is having to deal with pain and inflammation. However, not only seniors have problems with aching joints; younger people can experience the samesymptoms, especially if they lead a very active lifestyle. Strenuous physical activity places a lot of pressure on your joints, and athletes are no strangers to painful joints. FlexPower Performance Healthcare is a product aimed at people with active lifestyles, based on ingredients that help relieve pain for at least a few hours. The product is delivered as cream, and it must be rubbed on the skin in order to provide results. Here is what we found about FlexPower Performance Healthcare. What Does FlexPower Performance Healthcare Contain? The variant designed for women also contains arnica, a traditionally used ingredient for aching joints. It is good to have glucosamine and MSM included in the formula, although an addition of chondroitin and hyaluronic acid would not have hurt, either. A little bit more information on the ingredients used and how they were chosen would have been helpful, as well. The cream must be rubbed on the skin, in the painful areas, as indicated. You can use FlexPower Performance Healthcare as treatment for about three weeks. 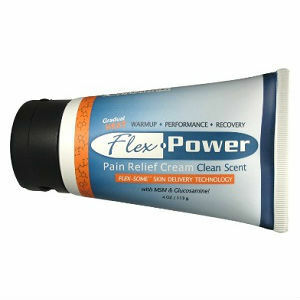 The price for FlexPower Performance Healthcare is 14.99USD, so it is decently priced. The company selling this joint health supplement offers 30 days money back guarantee, calculated from the day of receiving the order. It is very important to have certain key ingredients included in the formula used for reducing pain and inflammation in the joints. However, certain products are more efficient than others. FlexPower Performance Healthcare looks like a good product only that it does not act from the inside, but only locally. This means that you will experience pain relief, but the underlying problems will not be addressed. Mark Stevens	reviewed FlexPower	on November 29th	 and gave it a rating of 2.